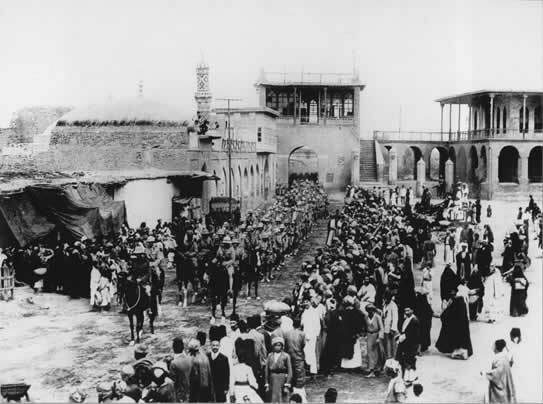 Having recaptured Kut from the Turks on 24 February, British and Indian troops under General Maude finally seized Baghdad on 11 March 1917. This photograph shows the 1st Division of the 4th Hampshire Regiment entering the city past a large crowd of local onlookers. The division was, in fact, based at a garrison just outside Baghdad and was ordered to march into the city specifically for the purposes of this staged photograph.